WE’RE OPEN DAILY AT 9 AM, AND TOURS LEAVE EVERY FEW MINUTES! Watch our sneak peek video! Bridal Cave remains a constant 60° inside, so it’s a great activity, no matter what the weather! "My wife and took our first tour of this Cave today and absolutely loved it. Our guide was a young lady, she was very knowledgeable and funny. While this was our first tour of the place we have been to the park several times and I will tell you that they have the nicest employees of anyplace I have ever been." "Bridal Cave is a beautiful spot! Great examples of geologic wonders. Our tour guide was very knowledgeable and fun! We took a family member just in from Turkey. He thought it was a fantastic tour!" "Bridal cave is one of the most beautiful attractions Missouri has to offer. Over looking the beautiful Lake of the Ozarks, this natural wonder is gorgeous. Courteous and helpful staff make the experience one you won't soon forget." 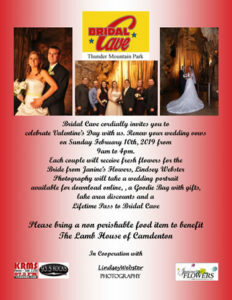 "Bridal Cave is a must see when visiting the Lake of the Ozarks. The tour is an easy walk and provides all of the features found in the local caves. The guide allowed us to travel at our own pace and answered our many questions. Great tour and would do it again!!" Be among the first to receive the latest news on upcoming events & offers!